Desi Smith/Staff Photo. 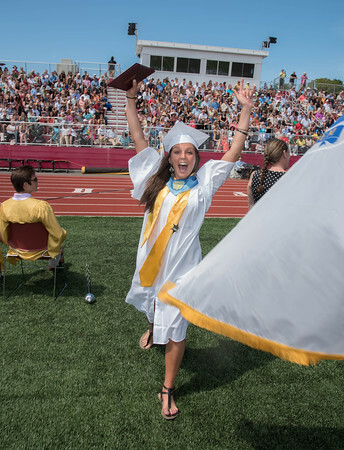 Julianna Costanzo raises her arms in the air after receiving her diploma Sunday afternoon at New Balance Track and Field at Newell Stadium. June 14,2015. 150614DSMGraduationGHS Class of 2015 Graduation.